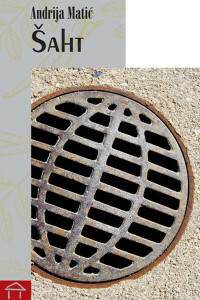 Manhole is Matić’s second novel. It is a dystopia on Serbian society in the near future, based on nationalism, demagogy and xenophobia. Matić’s style is clear, cold and precise, making a striking contrast to his narrative world. The tragic intensity of this novel is quite rare in the contemporary Serbian literature. Perfectly shaped narrative line, which leads the protagonist to the abyss of political, historical and personal defeat, makes this novel a genuine page-turner.